Get ready for a sensory overload. A new trailer for Universal’s Battleship has debuted and it’s filled with bombs and bullets. It’s everything you loved about Transformers multiplied by 1,000. Gird your loins! Universal Pictures has released an action-packed trailer for this summer’s Battleship. It has all the makings of a blockbuster thanks to explosions, bombs and more explosions. Battleship is inspired by the classic naval combat game from Hasbro, the same company behind Transformers. 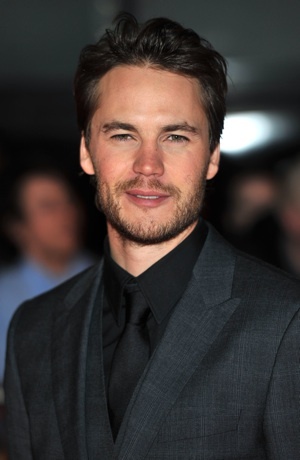 Battleship stars Taylor Kitsch as Lt. Alex Hopper, a Naval officer assigned to the USS John Paul Jones. While out at sea, his crew notices a mysterious piece of metal floating in the water. Upon inspection, they realize the strange object is more than what it seems. The latest trailer is a highlight reel that puts less emphasis on story and more on action. But according to Zap2it, Kitsch claims that Battleship has plenty of cool character moments. Sounds like we’ll have to see it to believe it. Prior to Battleship, Kitsch headlined Disney’s John Carter, which debuted in theaters last weekend. It earned $30 million domestically and over $100 million worldwide. That’s underwhelming considering the film’s production budget clocked in at $250 million. Battleship is directed by Peter Berg (Friday Night Lights) and co-stars Liam Neeson, Alexander Skarsgård, Brooklyn Decker and Rihanna. Battleship opens in theaters May 18. What do you think of the latest trailer for Battleship?